TechChange Program Coordinator Matthew Heck explains technical aspects of Google Maps Engine to UN Summer Academy Director, Patrick van Weerelt (Photo: S5R3 / Simon Ruf). 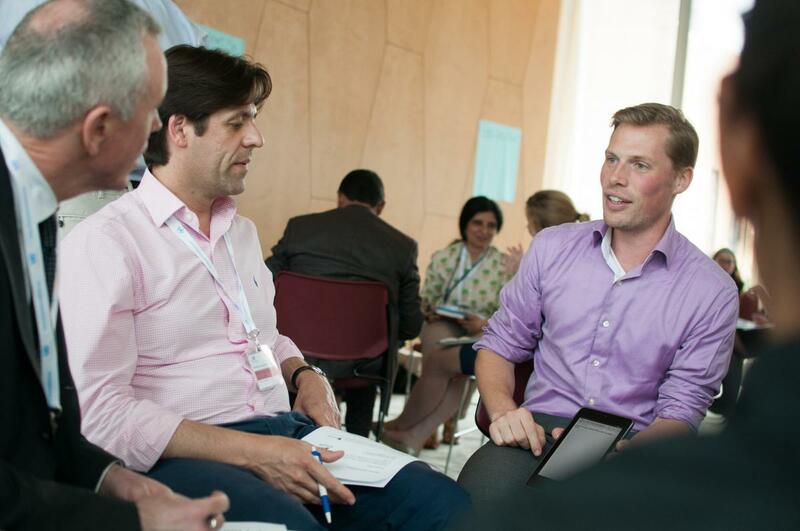 In June 2014, TechChange Founder & CEO Nick Martin and Program Coordinator Matthew Heck conducted a training at the 2014 United Nations Summer Academy at the UN headquarters in New York City. 45 participants from across the UN system based in 25 different countries joined Nick, Matt, and TechChange Mobiles for International Development alumnus and guest expert, Arjen Swank of Text to Change in a hands-on workshop on “How to use innovation and technology for development”. In the session, participants learned about and experimented with online tools for development including CommCare, Google Maps Engine, Magpi, Open Data Kit, and OpenStreetMap, Text to Change, TextIt, and more. 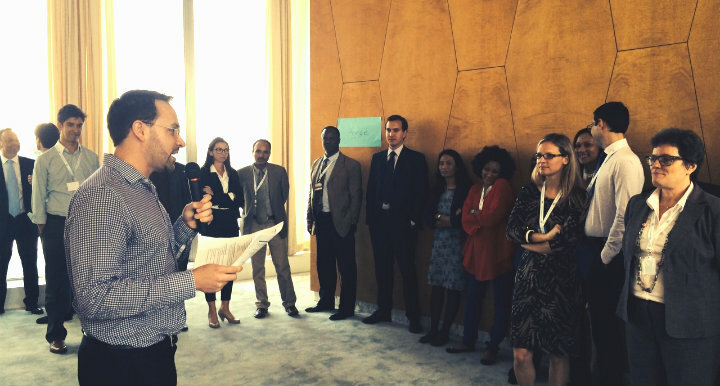 Nick Martin meets the participants of the 2014 UN Summer Academy and gives a quick introduction about TechChange and ICT4D. TechChange TC105 alumnus Arjen Swank leads a workshop on TTC for the participants (Photo: S5R3 / Simon Ruf). 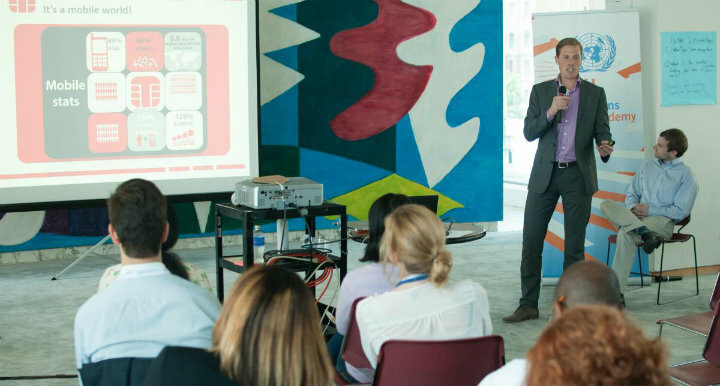 Check out Arjen’s latest blog post on the training and “Why basic mobile technology is still powerful” here and the UN’s summary of the event here. In smaller break-out groups, Arjen Swank demos how Text to Change can be used via tablet (Photo: S5R3 / Simon Ruf). 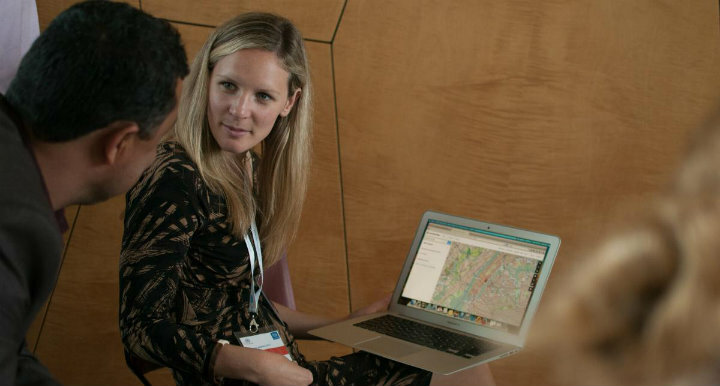 UN Summer Academy participants experiment with OpenStreetMap (Photo: S5R3 / Simon Ruf). If your organization is interested in training with TechChange online or in-person on technology for social change, please contact us at info [at] techchange [dot] org.